It can directly treat the tap water and river water. 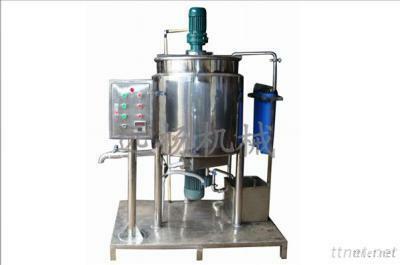 The Pipeline High Shear Dispersing Emulsifier is a highly performance equipment. It can make the material processing continuously and circularly. There are three series of stator and rotor which are dual and multi-bite in the narrow reactor. The motor-driven rotor revolves at a high speed that generates a strong axial suction. The suction impact the materials into the emulsification pump. The materials are scattered, sheared and emulsified in the shortest time. As a result, the distribution range of particle radius will be markedly narrowed that make the product produced finer and long-term stability.